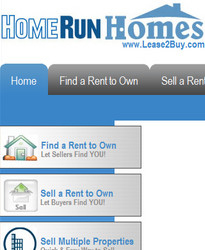 HomeRun Homes (http://www.Lease2Buy.com) is celebrating their 8th anniversary this month. The Company has continued to be an omnipresent force in the Rent to Own Homes niche of the Real Estate market, and continues to thrive in a field that has seen a majority of their competition dissipate. The management team of HomeRun Homes\Lease2Buy.com commenced web operations in June 2002, after working on a series of Real Estate rehab deals in Orlando and Central Florida. 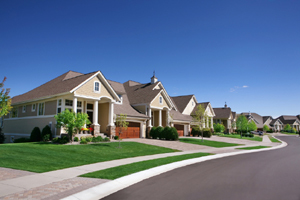 The President of the Company, Robert Eisenstein, states that during that time, they found it difficult to locate people that would be interested in Renting to Own the properties that they had rehabbed, and he says that, "We realized that something had been missing - a central location where sellers could find buyers for their Rent to Own homes, and where buyers could ask for exactly what they needed in a Rent to Own home". He goes on to say that, "HomeRun Homes was born from this concept." Today, Lease2Buy.com attracts a vast amount of web visitors, and has in excess of 1.2 Million hits. During their tenure, they have made one acquisition, which was a purchase of Equifree.com, a Stop Foreclosure website, and they have spun off an additional website, StopForeclosureRenttoOwn.com, which reaches out to those in the most urgent need of buying or selling a home. 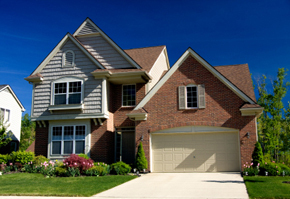 Continuing their tradition of helping people find what they need, they also offer a free Rent to Own Newsletter via download on their website, and also provide a very useful Blog (http://blogging.lease2buy.com). HomeRun Homes appears in many publications, such as Financial Advisor Magazine, Wallet Pop, and many others, as well as reviews on multiple Blog Sites. Their reach extends to the global real estate market, with their top 5 markets listed as the USA, Canada, Australia, the UK, and the Philippines. In his 8 year Anniversary meeting, Eisenstein states that the company plans to make a stronger global reach a top priority, since there are "many people in many countries who are stranded, and don't even realize that Rent to Own could be a resolution to any housing problems that they may be facing, as either a buyer or as a seller."